Today we learn everything there is to know about the EQ function and how to use it during a mix. This is super important and needs to be learned by every single DJ on the planet to get a clean mix! The EQ function on your mixer/software can have a number of uses that will improve your mixing. 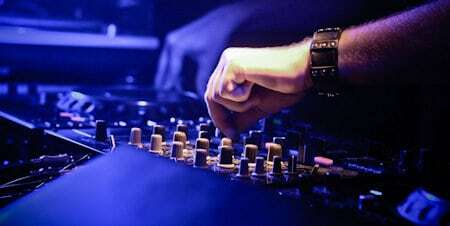 DJ EQ mixing is a super important discipline and should be learned by all DJ's. On top of improving your mixing, correctly using the EQ can also save you from a hefty bill. Have you ever been to a club and heard speakers distorting? Or maybe you found it hard to hear the lyrics of a song over the bass? This is likely a problem with the DJ's EQ settings. And it's possible that particular DJ was ignoring warning signals on his/her mixer, known as clipping. Manufacturers put VU meters on mixers for an important reason and ignoring these signals could cause serious damage. And if you're using club equipment, could cost your job. The standard DJ mixer or software interface will feature a 3 band equalizer (EQ). Some cheaper mixers will only offer a 2 band EQ, while some more feature packed mixers will offer a 4 band EQ. 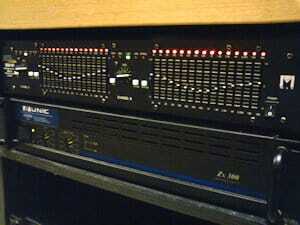 Whilst mixing, the EQ is used to control different frequencies to change the prevalence of a certain sound in a track. And the high, low, and mid range frequency controls on the DJ mixer are there to serve some important purposes during the mix. The ability to control the EQ during a mix to make tracks seamlessly fit together is another thing often ignored by many DJ's. But with a little knowledge and lots of practice it could transform your sets. Before we get into DJ EQ mixing lets take a look at some different uses of EQ you'll most definitely encounter as an active DJ. You may have heard of sound engineers having to EQ a room after a sound system is installed. Or even during events as the room fills up more. This could be a small room like a bar or club, or a large room like a concert hall. If you have live sound there will always be acoustical considerations and any adjustments will be controlled by an equalizer. In larger rooms this would be done by a graphic equalizer (GEQ), and will most likely feature a 31 band mixer to fine tune the sound. The graphic equalizer will feature adjustment for fixed frequencies. For example low or bass sounds at 30hz through to high treble sounds at 20 kHz. EQing can also be carried out using parametric equalizers. A parametric equalizer is more complex than a GEQ in that it allows you to control 3 parameters of each frequency. So you can adjust the primary or centre frequency (in Hz), the Q which determines the sharpness of the bandwidth, and the levels or gains of each frequency. As mentioned earlier these equalizers can be used for adjusting the sound system in bars, clubs, and large concert halls. They can also be used in music production for fine adjustments like making a vocal more prominent over a beat. And you've probably been using simpler versions for many years. Equalizers can be found on many home audio items like Hi-Fi equipment, computer sound set-up, car stereos, and TVs. Many DJ's only use the EQ to add or take away from the track. For example DJ's may cut the low range or bass frequencies on the build up after a breakdown. This makes the drop feel more intense when it hits. Or they may add some mid range to vocals to make them stand out whilst using the filters. Little tricks like this can really make a difference to your sets and you should play about with the EQ settings to see what works best for different genres. But what about DJ EQ mixing? how can you use the EQ whist transitioning from one track to another? As I mentioned in my guide to mixing for beginners, it's important to get your EQ settings right as you are mixing from one track to another. If you don't your mixing will sound messy as bass-lines collide and certain sounds clash. You also risk clipping which can cause damage to amplifiers and speakers. Your mixers EQ can be used to reduce or prevent clipping, also known as redlining. As mentioned earlier, clipping is something often ignored by many DJ's. When I ran a sound system I was constantly warning guest DJ's about the red lights that they had failed to correct. These were DJ's that had been mixing for a number of years, DJ's that you'd expect to know better. I also see it a lot in the clubs, and can very often here it listening back to live mixes. This proves how neglected the VU meters actually are, and that many DJ's just watch them while beatmatching. Many DJ's fail to realise that the VU meters on their mixers are there to serve an important purpose and ignoring them could lead to some serious problems. The VU meters are the lights that you see jumping along to the beat of the music. They should always stay in the safe zone (usually green lights) and never hit the danger zone (red lights). As you can see in the picture, this input signal is clipping causing a distorted output signal. 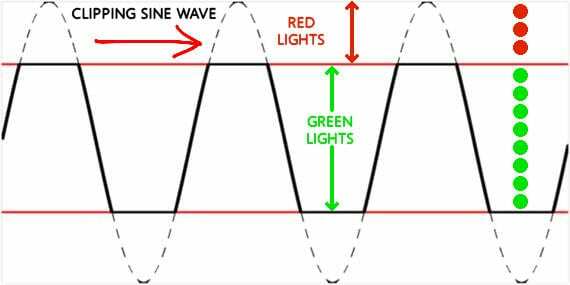 If the signal jumps into the red zone and you see red lights on your mixer, you need to act fast. If you don't you'll be causing distortion and there's a possibility of further damage to your equipment. There will usually be a little leeway and a single or double red may not cause any distortion. This is probably why it gets ignored, because DJ's can sometimes get away with it. But it's good practice to always keep your lights in the green to reduce the chance of problems. You can therefore reduce the volume output by turning down the gain. Or you can use the EQ, usually the low range setting for frequencies down below 100 hz. Using the EQ can allow you to maintain the same overall volume throughout the entire set. When you mix and transition from one track to another you want it to sound as smooth and natural as possible. Without the use of the EQ this can be tricky as certain frequencies will not blend well. For example you could be mixing a track with a very punchy kick drum and lots of bass, into a track with a mellow kick drum and smooth bassline. Without adjusting the EQ settings to totally remove or reduce the lows/bass of the track you'll likely fail to get a smooth mix. This leads onto the first method of DJ EQ mixing I ever learned of switching basslines. This is one of the easiest techniques to perform but can be tricky to get right with certain genres. If you're mixing EDM you'll find this works great. So you have track one playing and you're ready to mix out of it. There are two ways you could approach this. You could leave all of the EQ settings on track one as they are. But you will completely cut the lows on track two. OR you could slowly bring the lows on track one down to make room for the lows of track two. I prefer the first method, cut the low end frequencies on track two completely. Lower the gain on track two and bring the crossfader across. You can now slowly increase the gain until the volumes match perfectly. Mid and high EQ may also need slight adjustment. You then wait for the break in the track around the 32nd beat and switch the two basslines. This works great for some genres and not so well for others. If I'm mixing something heavier like hard dance music, I'll use this method for most of the set. It makes the mix sound more aggressive and suits that particular genre well. Always remember DJ EQ mixing is all about how it sounds at the point of mixing. Every track is different and all of these methods will need slightly different use of EQ depending on what tracks you're mixing. For different genres we need different methods of DJ EQ mixing. So you could try more of a low EQ blend. Use the exact method learned by swapping basslines but you won't be switching the two lows at the break. Instead you will slowly increase the low range frequencies of track two whilst slowly decreasing the lows of track one. You'll hit the break and do a small switch but everything will be smoother and less aggressive. If you're mixing more commercial type tracks or tracks with lots of vocals like R&B or hip-hop you'll find the use of the mid and high EQ very important. You should try to never play two vocals at once as this will likely sound like a jumbled up mess. Try to make the transition on the longer instrumental part of the track that you're bringing in if possible. EQ blend. If you have crisp vocals on track one you can bring in track twos instrumental with the lows completely removed. You can add just a touch of mid range frequencies. Then increase the gains and mids until it sounds just right. Again, every track is different so you can blend the two lows as we described in the last method. Or if that won't work for the particular track you may be able to switch them. It all depends on what you think will work best in the moment. Some people don't practice DJ EQ mixing and it is possible to do a full EQ mix within certain genres. Genres like minimal techno, trance or some house music will allow this. You'll see DJ's mixing purely using gains or volume faders. I've tried this and find that if you mix enough tracks you'll eventually hear basslines colliding or cancelling each-other out. Basslines colliding can be the most noticeable but you'll also hear other sounds in the mid and high range colliding. You will need to get to know your tracks extremely well before using this method. This way you'll eventually discover which tracks work well together and which don't. If you practice harmonic mixing or use software this can help you to find which tracks will work well together. But you'll still need to use trial and error. This may take some time but once you know the two chosen tracks don't clash, you'll be able to do a full EQ mix without being afraid of anything clashing. So by now you'll have a good understanding of DJ EQ mixing and how to incorporate it into your sets. Using your EQ's to create smother mixes or even to add something extra (as we mentioned earlier) can be tricky. But it's all about practice. Mixing is a huge learning curve and the proper use of EQ is all part of it. Try out the methods in this article and see which one works best for you. You can then try mixing different genres to figure out which method works best for each one. EQ mixing also relies on correct use of the headphones. For a full explanation on using DJ headphones to mix, go here -> show me how. When you can EQ correctly you''ll want to think about hitting the clubs and making a name for yourself. Check out THIS ESSENTIAL GUIDE. If you haven't got your mixer yet check out the top DJ's choices > HERE. Much of the EQing you do will be carried out in the headphones, so get yourself a good set! Check out > THIS ARTICLE for the top choices along with an essential buyers guide so you don't make the wrong choice. If you need more help with using DJ mixers and their multiple functions take a look > HERE for a full guide on every function and how to use them.